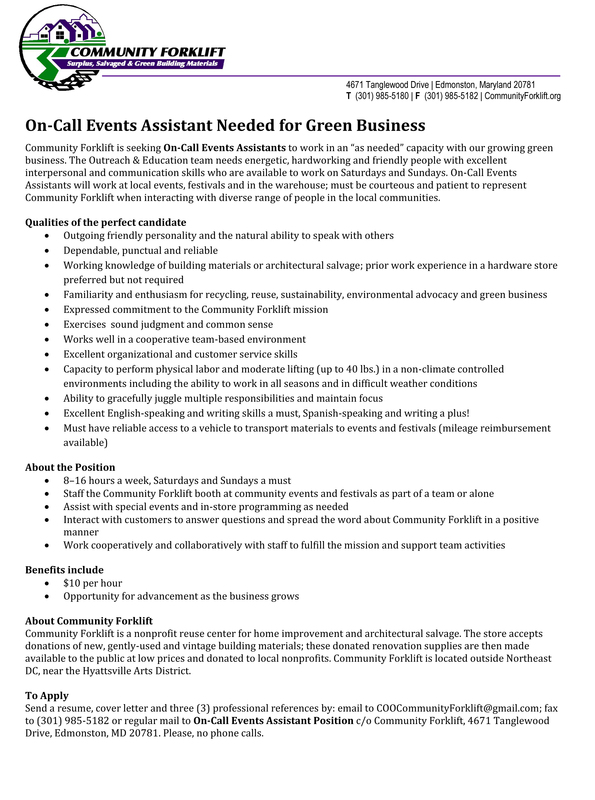 Community Forklift is seeking On-Call Events Assistants to work in an “as needed” capacity with our growing green business. 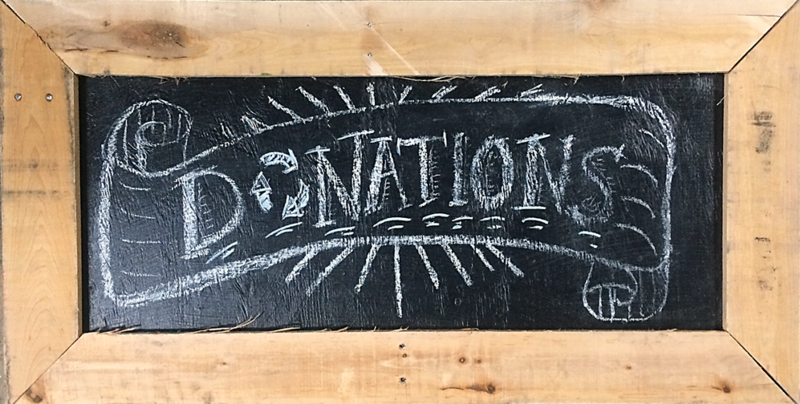 The Outreach & Education team needs energetic, hardworking and friendly people with excellent interpersonal and communication skills who are available to work on Saturdays and Sundays. On-Call Events Assistants will work at local events, festivals and in the warehouse; must be courteous and patient to represent Community Forklift when interacting with diverse range of people in the local communities.